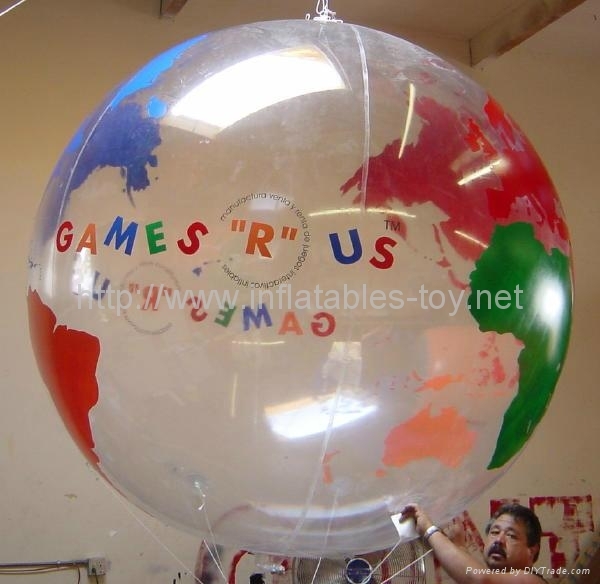 Our inflatable helium balls are the ultimate in small and large business advertising. Just fly the balloon over your business or special event and the balloon becomes an immediate attention getter. 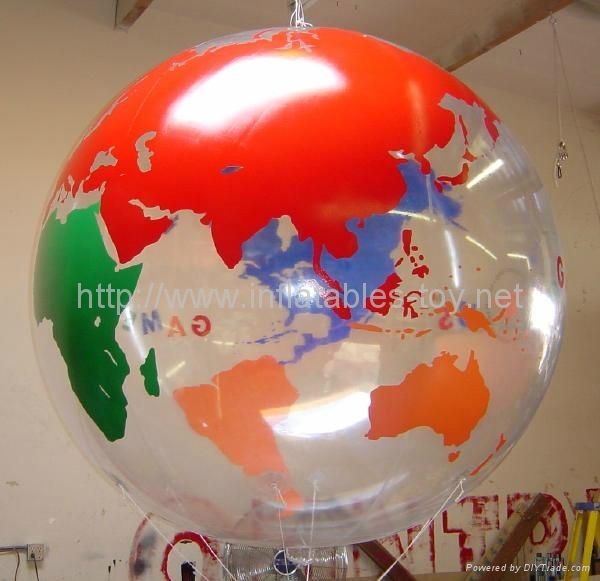 Our vinyl balls are manufactured from polyvinylchloride (PVC) fabric and is manufactured with a UV inhibitor in the material to protect it from fading also the coloring is throughout the material and not a coating. This specially manufactured closed cell material is designed to hold helium perfectly and is 18 mil thick. This material is ideal for outdoor use and is much stronger and better than the 3.5 mil or 6 mil urethane material that other companies use (a garbage bag is about 3 mil thick-Click Here). By adding your logo or message you can have your name in the sky! JUST ADD HELIUM!